Yep, the new Kendal Larson Photography website is officially on the air. The new website features the ability to purchase prints and even license imagery directly from the site. You’ll find now that the galleries are still a bit limited, but that will grow daily as more imagery is uploaded to the site. I hope you’ll kick back, and spend some time perusing the new functionality offered here. I welcome your feedback, and if you find problems with portions of the site, please let me know. 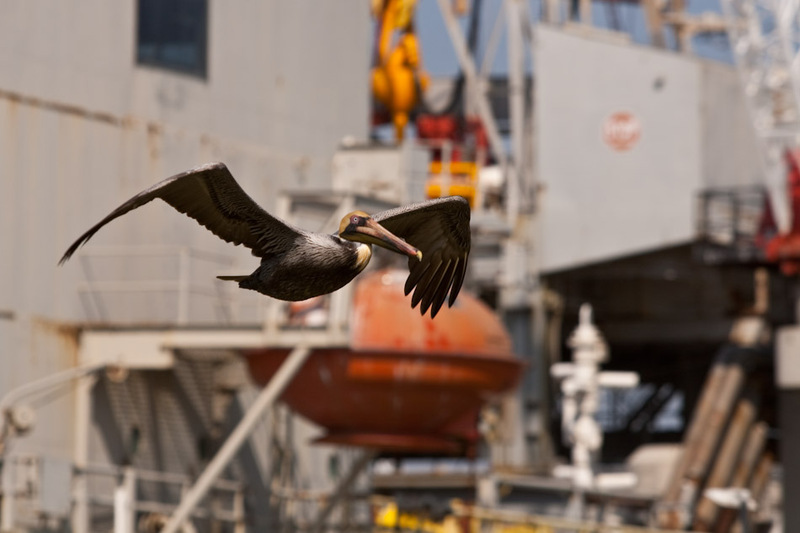 And now, an image – a brown pelican that was cruising alongside oil rig equipment in Galveston, Texas. Seems fitting to include a peli given what’s going on in the Gulf these days. This entry was posted on Thursday, July 29th, 2010 at 2:59 pm. It is filed under General, Photography. You can follow any responses to this entry through the RSS 2.0 feed.